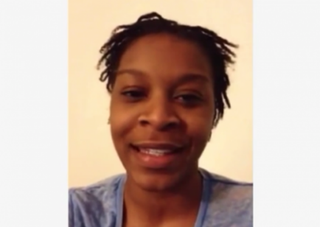 Sandra Bland posted a video March 1, 2015, indicating that she had been suffering from depression and post-traumatic stress disorder, but encouraging her viewers to remember that all things are possible. Sandra Bland used Facebook as a diary of sorts. She would post stream of consciousness videos on a variety of topics, from going natural with her hair to the Black Lives Matter movement. She called the videos "Sandy Speaks." She called her viewers "kings and queens." Some five months before she would be found dead in a Texas jail cell, she posted a video apologizing to her friends for having been absent from posting for a while. "I'm suffering from something that some of you all may be dealing with right now. It's a little bit of depression, as well as PTSD," she said in the Facebook video from March 1. She added in the post that she had been stressed out the past couple of weeks, but also noted, "That does not excuse me not keeping my promise to you all by letting you know that someone cares about you, that someone loves you and that you can go out there and do great things." The 28-year-old Illinois woman died in police custody in what police have claimed was suicide by asphyxiation, but her family and friends don't believe she would have killed herself. Bland had driven from Illinois to Texas to start a job at her alma mater, Prairie View A&M. On July 10, Bland was pulled over by Waller County police for what they say was failing to signal while changing lanes. Police claim that she became combative during the stop. Video from the incident shows two officers holding Bland down on the ground. She can be heard yelling, "You just slammed my head into the ground. Do you not even care about that? I can't even hear." Bland was arrested, and on Monday morning she was found unresponsive in her cell. She was pronounced dead at the scene. As the story of what led to Bland's death continues to unfold, the Daily Beast reports that she made a call to a bail bondsman and her sister while she was in custody. "I talked to her when she first went to jail," bondsman Joe Booker of Hempstead, Texas, told the Daily Beast. "I called her mother for her." Although Bland's bail was listed as $5,000, with the help of a bail bondsman she would have needed to pay only 10 percent of that—$500—to be released from jail. During an emotional press conference, Bland's sister Shante Needham told reporters that she had planned to bail her sister out. "She informed me she had been arrested. She said they couldn't tell her what she had been arrested for until an hour before she had called," Needham said. "She then proceeded to say the officer had put his knees in her back and that she thought her shoulder was broken. She said her bond was $515. And I told her that I would work on getting her out." The video and phone calls are the newest pieces in the puzzle to determining exactly what happened to Sandra Bland. "That is, of course, extremely relevant, that she may have been suffering from some sort of mental illness," Waller County District Attorney Elton Mathis told ABC 7. "That self-diagnosis is certainly something that we are going to look at and consider with a motive for a suicide," he said. But Bland's family doesn't believe that she would have committed suicide. "Based on the Sandy I know, that's unfathomable to me," Bland's sister Sharon Cooper said at a press conference. According to the Chicago Tribune, Bland had been arrested while attending Prairie View A&M. In 2010 she pleaded guilty to misdemeanor marijuana possession. She paid a $373 fine, according to court records viewed by the newspaper. Bland had also had her license suspended some three times in the last year and was set to have her license suspended again July 31, the Tribune reports.